Shane Watson fought through the pain barrier to smash an unbeaten 117 as Chennai Super Kings thrashed Sunrisers Hyderabad to win their third Indian Premier League title in a spectacular return from a two-year corruption ban. The 36-year-old Australian, struggling with a hamstring injury, hit eight sixes and 11 fours in a stunning 57-ball innings as Chennai took just 18.3 overs to overcome Hyderabad’s 178-6 off 20 overs. Chennai finished on 181-2 to crush their opponents by eight wickets. They have now equalled the Mumbai Indians in winning the world’s wealthiest cricket tournament for the third time since it started in 2008. Ambati Rayudu who hit a four to complete victory was also unbeaten on 16 in Mumbai’s Wankhede Stadium, which was packed with more than 33,000 fans. He led tributes to Watson. “His experience saw us through. He is a world class player and when he is there anything can happen,” Rayudu said. Hyderabad coach Tom Moody added Watson had produced “something special”. 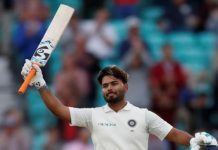 But the Australian hero said he had been happy to get through the night because of his injury and after failing to score a run in the first 10 balls of his innings. “I knew I had to start getting runs quickly after those 10 balls,” he said. Watson has had longstanding hamstring problems which has worsened as the gruelling IPL season reached the finale. “Throughout the back end of the tournament I was hanging on for dear life,” he said, praising coach Stephen Fleming and captain M.S. Dhoni for the way he had been protected in games. Dhoni won the toss and put Hyderabad into bat. Their New Zealand captain Kane Williamson hit a top-score 47 as Sunrisers posted 178-6. The 27-year-old Williamson, a last minute replacement for scandal-tainted David Warner as captain, has been an impressive leader, amassing 735 runs including eight half centuries in 17 matches. He was supported by Yusuf Pathan who hit an unbeaten 45 off 25 balls, including four fours and two sixes. Carlos Brathwaite also hit an 11-ball 21 to help Hyderabad add 52 runs in the last five overs. But after reining in Watson at the start and taking South African opener Faf du Plessis for 10 in the third over, the Hyderabad bowlers were put to the sword. Watson and Suresh Raina put on a swashbuckling 117-run second-wicket stand with Raina hitting 32. Afghanistan teen sensation Rashid Khan returned figures of 0-24 for Hyderabad but Watson hit the other bowlers to every corner of the stadium. The big-hitting Aussie allrounder plundered 27 runs off one over of paceman Sandeep Sharma. Watson took a single off Khan to bring up his hundred in 51 balls and then acknowledged a standing ovation from the Chennai dugout and the crowd with his team already in sight of their IPL triumph. Watson was just one of nine members of the Chennai squad to be aged over 30. But triumphant captain Dhoni, who has also won three IPL titles, said agility was more important. “It is the fitness that really matters more than the age aspect,” said the former India captain, 36. But Dhoni acknowledged that he could not push his whole team to run like a 20-year-old. “If I push Watson to stop a single, there is a very good chance that he’ll burst his hamstring and won’t be available for the next game. The winners of the final were guaranteed a minimum $4 million in prize money.